Oxfam and 24 other NGOs signed an open letter to EU leaders calling for modifications to EU migratory policies. They said the situation for migrants in Greece is "unsustainable". Oxfam signed an open letter with 24 other NGOs ahead of the third anniversary of the European Union's deal with Turkey to control migration and return irregular migrants. In the letter, it said the EU-Turkey deal has led to policies and practices in Greece that are "short-sighted, unsustainable, ineffective and dangerous." "Currently, around 12,000 people - twice the maximum capacity - have been forced to spend the winter in overcrowded reception and identification centers, sleeping in unheated tents or containers with limited access to running water and electricity. They are exposed to violence, harassment and exploitation, without proper security or protection. 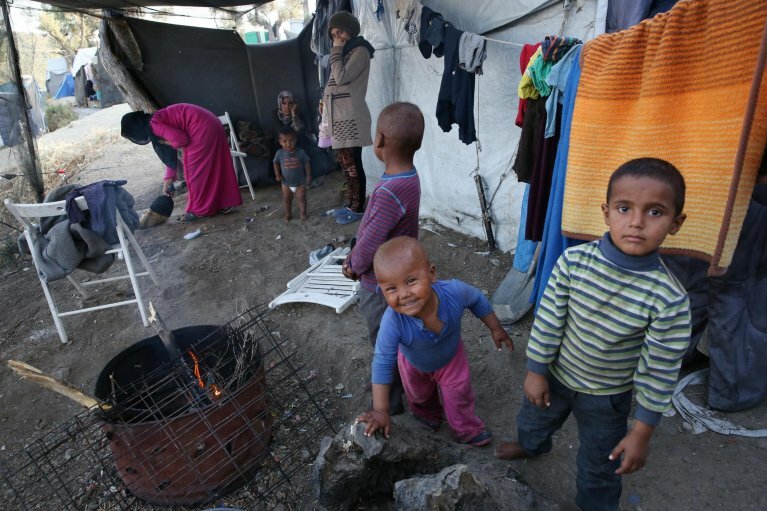 These terrible conditions are due to the European policy of trapping asylum seekers in EU 'hotspots' in the Greek islands, rather than hosting them in locations on the European mainland," the groups said. In the letter, the organizations call on European leaders to "agree urgently on fair and sustainable arrangements for sharing responsibility for asylum seekers arriving in Europe, that will ensure member states' ability to provide decent and dignified conditions." They also call on Greece to "immediately suspend the restriction of movement that traps asylum seekers to the Greek islands" and to "ensure Greece spends the available EU funding on essential services such as medical and legal services." In addition, they ask for support for the "planning of a fair and efficient asylum system and a long-term and sustainable reception and integration plan for refugees in Greece."